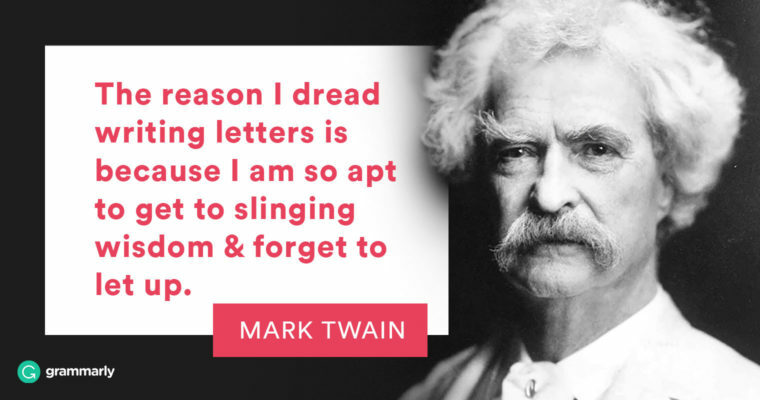 How to start a letter, what type of letter you should write, what letter format you should choose—everyone should be familiar with these basics of letter writing. Here’s the information you need to know, along with some helpful examples. There are no hard-and-fast rules. What letter format you choose depends on your audience. For a friend or close relative, a casual, handwritten message is usually the best way to go. However, for business contacts or people you don’t know well, a typed formal letter is almost always the most appropriate choice. Formal letters begin with the sender’s name and address. Some companies use special paper, called letterhead, that includes contact information. The next line of a formal letter and the first line of an informal letter is the date. Write it two lines after your address or at the top of a casual letter. Additionally, formal letters need the name and address of the recipient two spaces after the date. Incorporating all this information ensures that your letter can be used as a reference to contact you after the recipient discards the envelope. Finally, you’re ready to greet the person (or business) to whom you’re writing. Skip a space from any addresses you’ve included. Casual letters are easy; you can start with “Hello” or another customary greeting. Formal letters begin with “Dear” followed by the name of the receiver. If you don’t have a contact at a certain company, search online for a name, a job title, or department. For example, you might try “Dear Manager” or “Dear Human Resources Department.” As a last resort, use the generic salutation “To Whom It May Concern.” A comma follows all greetings. The content of your letter will vary, so let’s focus on some general guidelines. Do. . . keep it focused. Business letters should have a clear objective. Even personal letters shouldn’t ramble. Proofread. Errors can cause misunderstandings. Don’t. . . use contractions in formal letters. And definitely avoid writing anything you’ll regret being recorded for posterity. Leave a blank space between your closing paragraph and the complimentary closing. A complimentary close is a polite way to send your regards to your receiver. One of the most common closers is “Sincerely,” and it’s generally a safe bet. If you have a warmer relationship with the recipient, you can sign off with “Warm regards” or “Cordially.” There are dozens of options, so you’ll have to do a little research to determine which is best for you. Commas follow all complimentary closings. Remember, only the first letter of the phrase is capitalized. Leave another couple of spaces for the last step—your signature! Type your full name underneath it in formal letters. P.S. stands for postscript. It’s something you add at the last minute after the letter is complete. Typically, you don’t add postscripts to formal letters; if you need to add something, you’ll have to revise the whole document to include the new information. P.S. Rob got the position at Great Company! Thanks for all the support during his unemployment. In the United States, the maximum weight for a first-class letter is 3.5 ounces. If your letter is more than three pages or you’ve written it on heavy paper, you’ll have to weigh it to make sure it meets the requirements. The size and shape of the envelope matter too. It has to be rectangular and less than roughly 6×11 inches or you run the risk of the post office returning it. After you’ve determined that the envelope is the right kind, the hardest part is over. Now, you just have to mail it. (If it’s a personal letter, you can always deliver it yourself. In that case, just write the intended recipient’s name on the outside of the envelope. A bonus of hand-delivery? : You can use any size or shape envelope that you want!) In the top left-hand corner, write your name and address or attach a mailing label. In the center of the envelope, carefully write the address of the recipient. Besides the state abbreviation and zip code, international letters should include the country for both the destination and return address. Postage rates vary. Check the USPS website for current prices or use a forever stamp for US destinations. Double-check that everything is correct on the outside of the envelope. If it is, fold your letter and insert it inside neatly. Don’t seal it until you’re sure that you’ve included every page you intend to send. Doesn’t it feel good sending a letter that you know you’ve carefully prepared? Certainly, a well-written letter has the best chance of accomplishing its purpose. But what about a cover letter for a job application? Cover letters have their own set of best practices. Read everything you need to know about how to write a cover letter before you send out your next resume!